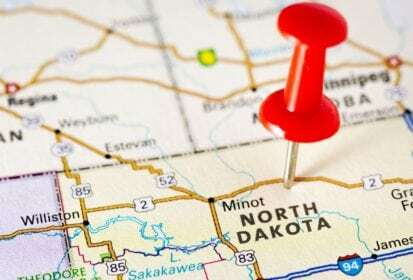 Chicago | Reuters –– Elevated levels of the grain fungus ergot are showing up in spring wheat being harvested in south-central North Dakota, prompting grain elevators to impose discounts and even turn some truckloads away, grain merchants said Tuesday. Though confirmed in only one area so far, according to grain merchants who spoke to Reuters, the fungus could be another headache for U.S. wheat growers whose grain has lost share in the world market due primarily to high prices. A grain elevator operated by CHS Inc. at Sterling, N.D., about 300 km south of Boissevain, Man., was already rejecting some wheat deliveries, according to elevator manager Eric Basnett. The U.S. Department of Agriculture on Monday said the U.S. spring wheat harvest was 35 per cent complete. In North Dakota, the harvest was 29 per cent done. A grain elevator at Minto, N.D., about 100 km south of Altona, Man., reported seeing wheat with as much as 0.25 per cent ergot. Anything more than 0.1 per cent would be rejected, according to a notice sent to customers seen by Reuters. — Reporting for Reuters by Julie Ingwersen; writing by Michael Hirtzer.